Cornwall's move to unitary status has been confirmed by the Government. Cornwall was named as one of five county and district councils nationally being scrapped and replaced by "flagship" all-purpose authorities. Unitary councils will also take over in Durham, Northumberland, Shropshire and Wiltshire, with 28 fewer councils. The unitary authority will be responsible for roads and education, as well as leisure, environmental health and housing. 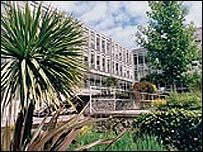 Cornwall County Council has said the new status would eventually save taxpayers £17m a year. The district councils have waged a campaign against the creation of the controversial single authority - some making claims that it would be too centralised and undemocratic. The public service union Unison has also raised concerns about the effect the change could have on jobs. Subject to legislation the new authority could be up and running in 2009.